just a quick note to let you know where I have been and the blog has been really very quiet. Sorry about this I have either been doing DIY on my new house or working. But Now I have been back on the bank again and I am having some success. 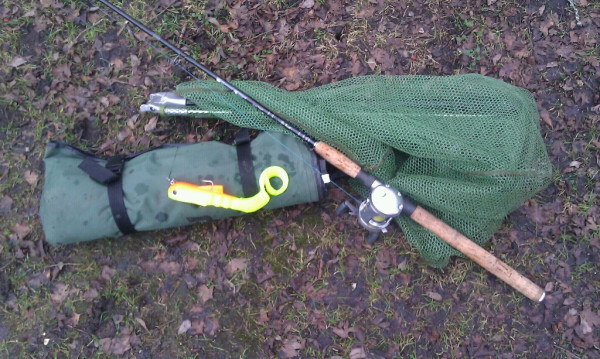 I have been hitting the pike in “The Mets” lake part of the Thorney Weir syndicate complex. And apart from not having any large fish I have not been doing too badly numbers wise with not a blank in sight so far. 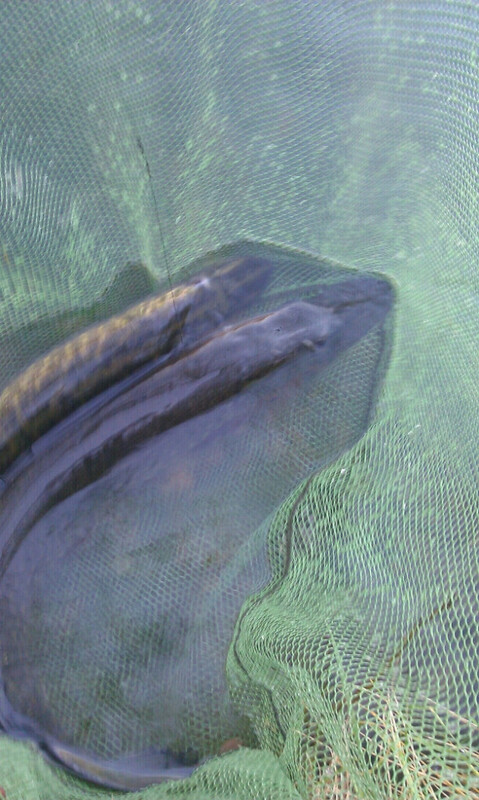 Indeed on a recent session I managed to get 2 in the net at the same time. I should explain that the 1st fish was legitimately hooked and as I was landing it the 2nd appeared from no where and swam in..Was about to say that I hadn’t had that happen before but I did with carp once in the Netherlands but that is another story. I suspect that they were spawning and the 2nd fish was hoping to mate with the 1st. Also I have been trying out monster lures in an attempt to catch a larger stamp of fish, sadly this has not been working and so far my monsters are untouched by pike. Their day will come ! The above pic also shows one of my favourite parts of pike fishing. The simplicity, add to the above pic a few more lures and a pair of forceps and you have all that you need for a days lure fishing. Back to the present I leave you with a pic of the most successful lure ( for me ) of almost all time with 90% of my fish this year and last coming to it. I have really fallen for rubber replicants with a single hook. 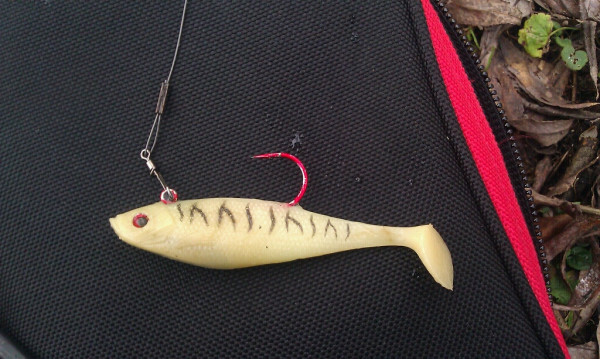 Easy to unhook, dont get too much weed and you can fish them at what ever depth you like. What is not to love about them ? 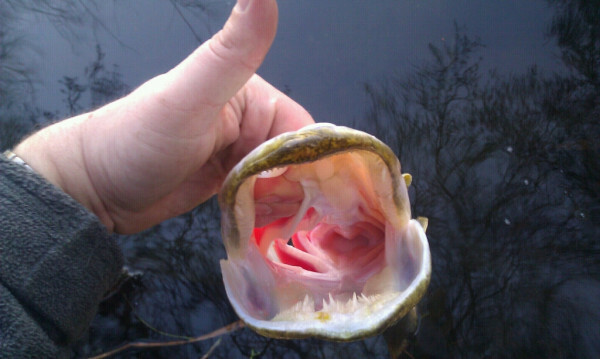 Have you been out fishing for pike ? or other predators ? if you have drop me a line and post a comment to let us all know how you have been getting on. Previous Previous post: Where have I gone ?